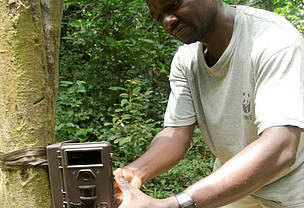 TRIDOM is the Dja-Minkebe-Odzala Tri-national forest landscape spanning Cameroon, Gabon, and the Republic of Congo. The Cameroon segment of TRIDOM covers 49,000 km2. It is the largest virgin protected area in Cameroon where the focus of communities is primarily on poaching, and organizations’ efforts is use of law enforcement models, land-use planning and livelihoods support of indigenous peoples. The Nki and Boumba Bek National Parks are part of TRIDOM with significant populations of elephants and great apes, though the threat of poaching remains high. it is important to note that these are still virgin forests with high biological diversity across the transboundary corridors, and their national park status helps maintain the integrity of resources by nonly tackling poaching but also establishing a platform for collaboration with local communities andpublic and private sectors, which is where WWF has helped to add value the management approach. 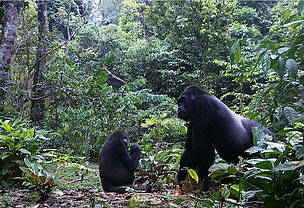 Ngoyla Mintom forest block is also part of TRIDOM with a large population of elephants and great apes. It is part of the Messok-Dja forest block of Congo. This zone helps to keep protected area corridors of TRIDOM connected. The land use process currently underway aims to set up measures for actors in the area to use as best practices going forward - to keep corridors alive. The biggest threat is poaching and habitat degradation. 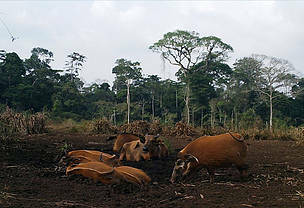 With Cameroon’s MINFOF decision to reserve close to 450,000 ha of the forest block for conservation offset and REDD projects, there is an opportunity for putting in place a priority conservation site as corridors and High Conservation Value which could benefit ecosystems and the people and wildlife that depend on it. This region also has a huge private sector intervention, CSOs and international agencies, which offers room for collaboration.